Observed Signal for BLINDSIDE’s PLAY2 brings together works that speak to the public nature of Federation Square’s big screen and provides a platform for social and cultural commentary. 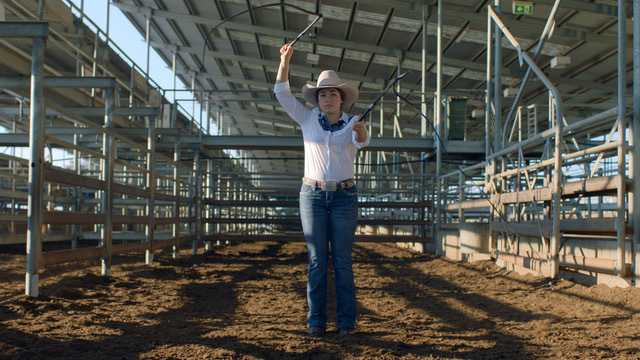 Zanny Begg’s cinematic work The Bullwhip Effect takes on the double-entendre of this phrase, used in the financial sector and its reference to Australian landscape and agriculture. Caroline Garcia’s Primitive Nostalgia traipses through found footage of native dances, highlighting origins of contemporary cultural appropriations. Departed by Yandell Walton is an inquiry into people’s perception of the after-life. Exploring economic, cultural and spiritual concepts, these works provide unique commentary on contemporary Australian life and culture.